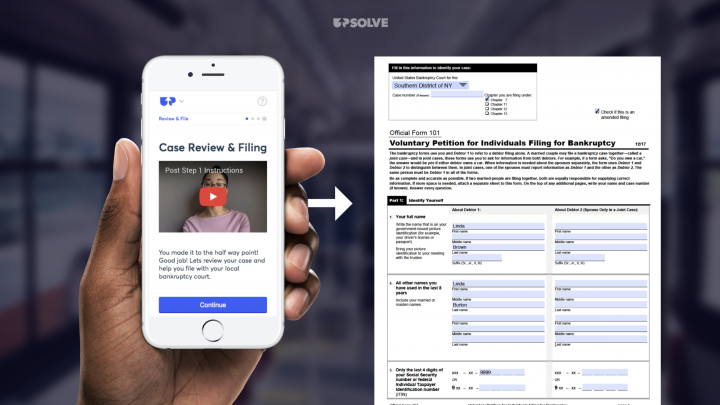 This is the fourth piece in Fast Forward’s 2018 Accelerator Series featuring Upsolve, the TurboTax for bankruptcy. Walt Disney. Oscar Wilde. Donald Trump. What do these famous figures have in common? They all filed for bankruptcy. Bankruptcy is a luxury most Americans can’t afford, carrying a price tag of around $2,000. 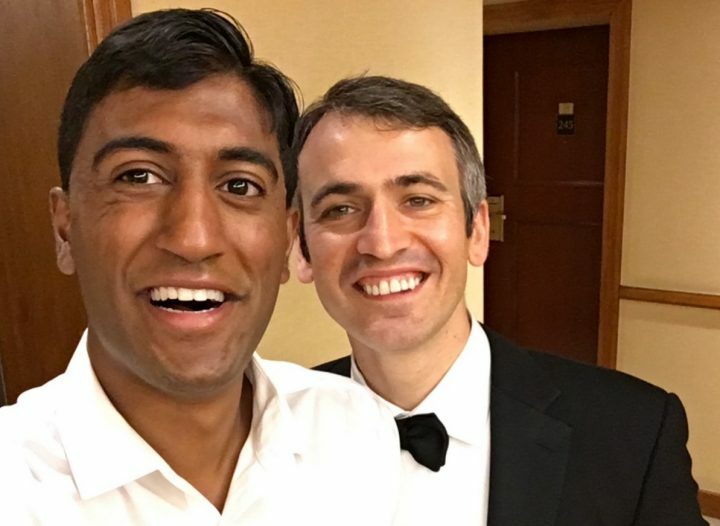 Rohan Pavuluri and Jonathan Petts want to change that, which is why they built Upsolve, a legal tech nonprofit making the road to financial rehabilitation easy and affordable for low-income Americans. That all changed when he arrived at Harvard for undergrad, and became exposed to tech leaders like Hannah Calhoon of Blue Ridge Labs, Jordan Blashek of Schmidt Futures, and Jimmy Chen of Propel. 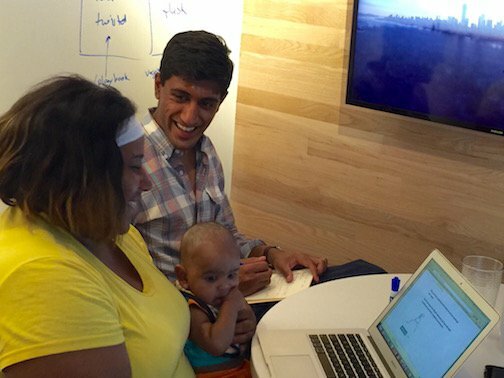 Rohan realized that tech, too, was an avenue for creating meaningful change. As opposed to policy, Rohan recalls, “there’s literally zero barrier if you just want to build a technology product that people find useful and put it out into the world.” With that in mind, this college freshman got to work. Millions of Americans are priced out of a constitutional poverty-fighting right. Upsolve is changing that by making bankruptcy accessible for everyone. 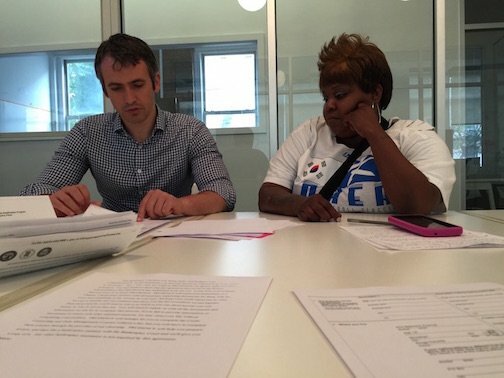 He started working as a Research Assistant for Harvard Law Professor Jim Grenier (another inspiration), where he spent much of his time talking to low-income folks about bankruptcy’s pain points. It became clear that the barriers to a fresh start were vast. In order to file for bankruptcy, Americans must hire a lawyer, pay thousands of dollars in fees, and complete huge stacks of paperwork. Rohan dedicated himself to the cause. 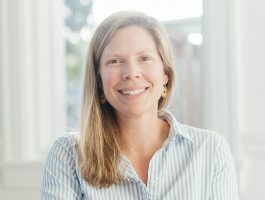 The next spring, he cold emailed Hannah Calhoon, Managing Director at Blue Ridge Labs, asking if they’d bring him on to the program so he could tackle this problem. Blue Ridge Labs gave him a coveted desk, and Rohan promptly moved to Brooklyn to immerse himself in the debtor experience. 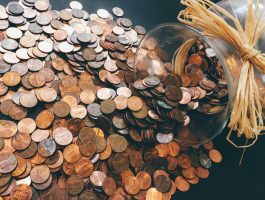 He attended bankruptcy court every week observing proceedings, and spent afternoons connecting with debtors by taking them out to lunch and accompanying them to church. A few weeks in, things took a serendipitous twist. While walking into court, the security guard, having noticed how often Rohan frequented bankruptcy court, asked him what he was doing there every day. Rohan replied he was just doing a research project. “You should talk to Judge Stong,” the guard told Rohan, “she loves meeting students.” With a shared Harvard connection, Judge Stong and Rohan hit it off. Judge Stong invited Rohan to a lunch about pro-bono bankruptcy support in New York. He attended the lunch days later and was the second to arrive. The first was Jonathan Petts. They got to talking, and Rohan shared that he was trying to build a tech driven legal aid organization to help low-income Americans file for Chapter 7 bankruptcy. Jonathan was shocked, because he’d had the exact same idea and had recently quit his job to pursue it. As a bankruptcy attorney with a decade of experience, Jonathan recalls, “I saw that much of consumer bankruptcy filings involved routine data entry and document collection, which were ripe for automation.” At the time, filing was taking him ten hours per case. Jonathan agreed that a tech solution was the answer. Mere minutes after this conversation, Rohan and Jonathan hopped on the train and headed to Manhattan for a meeting about an idea that would quickly become Upsolve. 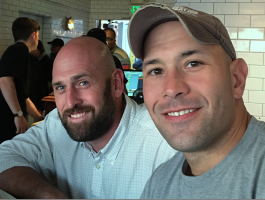 Rohan and Jonathan opened a brick-and-mortar legal aid organization in Blue Ridge Labs. While Upsolve now had a space, they still needed to reach the low-income New Yorkers they were committed to serving. They got creative and asked other legal aid organizations for their waitlists. On top of that, they passed out their cards in legal clinics where people were seeking help around debt lawsuits. That summer, they walked every single client through the bankruptcy filing process. Eventually, they took the existing filing process and automated some of the steps by building out a Typeform MVP. Clients would use this in tandem with help from Rohan and Jonathan. One of those clients was Artie*. Artie was the proud owner of a Tuxedo shop, and it sadly went under after many years. As is common when business owners are forced to close down a shuttering business, Artie had a lot of debt. To make matters worse, he was being constantly harassed by creditors, while simultaneously facing ongoing rejections from legal aid organizations across New York. While Artie’s case was valid, legal aid organizations tend to prioritize those who are employed rather than unemployed. Times were tough for Artie. Fortunately, Upsolve was able to help him successfully file for Chapter 7 bankruptcy. Artie’s gratitude was profound, and he even invited the team to come over for a pasta dinner. Artie also expressed that he wished to make a donation, but couldn’t afford it. A year later, Artie made a “Pay it Forward” donation of $100 to Upsolve. Rohan and Jonathan worked on the Typeform product until, according to Rohan, “the product became good enough that we didn’t need to walk every client through using the product.” That’s when they knew it was time to build an original tech product to help low-income Americans file for bankruptcy on their own. They officially launched their tech product, an online platform, to the public in January 2018. Today, Upsolve has the capacity to help individuals from (almost) any state file for bankruptcy in less than 30 minutes. They’re growing quickly, doubling their client base in the last 3 weeks alone. Within the last year, the average Upsolve client increased their net worth by about $40,000, and their credit score by 60-80 points. As they scale, Upsolve will fundamentally shift access to bankruptcy. 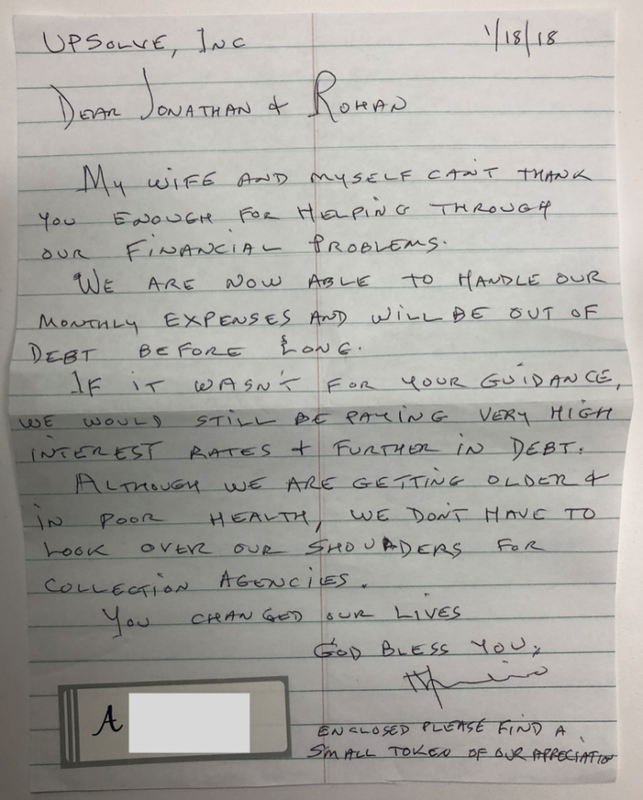 “Bankruptcy is an important part of our social safety net in America for sudden financial shocks… it’s a lifeline,” Jonathan shares, “and we believe that no one should be too broke to get a fresh start.” Rohan and Jonathan’s vision is to be the most efficient and effective legal aid organization in the country by an order of magnitude. Backed by the U.S. government, Fast Forward, and influential technologists like former Google CEO Eric Schmidt, all signs point to yes that Upsolve will achieve this mission. 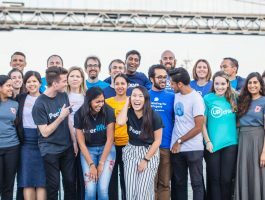 Upsolve is currently hiring! If you know of a great software engineer or attorney, pass this story along to them! *Name has been changed to protect the client’s privacy.